Where in the world can a man find a MD-20 drum these days ? I don't have a clue??? Please help a serious buyer??? Tried the pro mag 20 round drum. Works good for two rounds, then FTE every time. Works flawlessly with my stick mags, no FTE's. Will be getting the MD-20. Anyone know where I can get a new spring for my MD 20 Drum? I would back the spring off a half turn. I think your spring is wound too tight that friction is causing your issue. And be careful when you do it. Except for those plastic locking tabs cracking which bring lifespan into question, no problems yet. Minimum of 500 Winchester ranger low recoil 2 3/4" slugs & the only wear is 3/6 cracked tabs. Cracked, but not broken. The "only" wear is that half the tabs broke? You say that as if No big deal. I'd be mad. When you use it for another year, will it be held together with pipe glue? That extra $10 goes into a seemingly better design + availability of spare parts (so far no source for spare promag 12-20 covers), and I wasn't aware of MD 3 years ago, but I hope it lasts the test of time for you. You get what you pay for, that much is true. Will leaving a 20rnd drum loaded for an extended time weaken the spring? The Beta C-Mags can be left loaded with no problems, are the ones for a Saiga 12 the same? Great information! 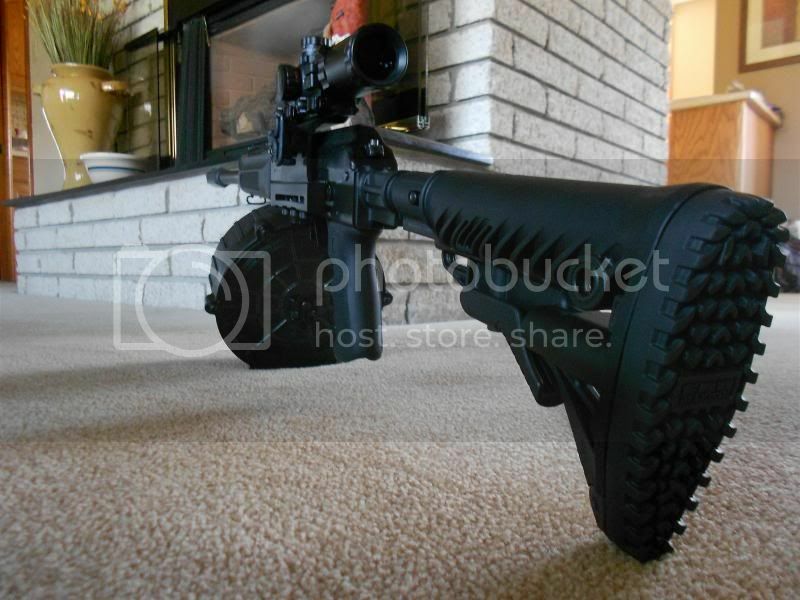 Looking forward to my two MD Arms 20 round drums to arrive! There is nothing wrong with holding a spring under load over time. The thing that ages springs is cycles of tension/compression. Also, get a spare spring for $8 shipped at the MD Arms website. I did. Now I don't have to worry. Lovin my MD arms 20 rounder took a little bit of time to make it fit but it is worth it and the book had step by step on how to do it and do it right. i had a thought for anyone who makes these. What about 2 of these side by side? kind of like the Ar-15's BETA mags. that would be 40 rounds of 12 gauge! unsure how to make it work. but just a thought! Thanks MD arms for a great product and fast shipping well worth the 136 shiped! I have two twenty round drums from Promag, my question, do you guys use the temp. Plugs they give in the drums? If you mean the dummy round (little black shot shell-sized cylinder), then yes. Leave that in to insure proper feeding. It pushes out the last round. 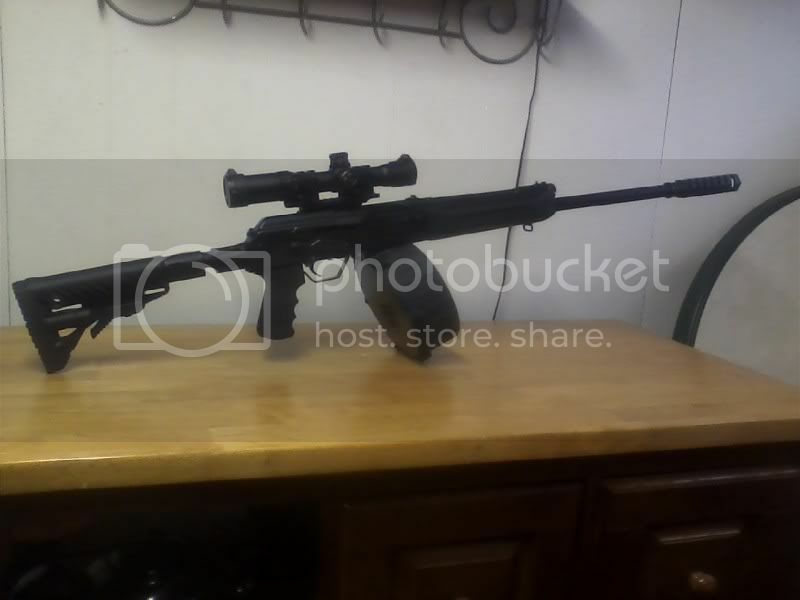 who was the guy on here that modified his 20 round promag drum with different clips and what not. I want to do that to mine. Two members, one was Matthew Hopkins. If you contact him I bet he will know the member whom he based his design off of. Edited: It wasn't a promag, it was an MD20. damn it. So it was a md drum he modified then? Promag drums are easily available than the md or i would have bought one. but after hearing all the crap about them I'm hesitant to use mine regularly. It fit perfect and snug too. Where'd you find them for that price? I'd have bought 10 and sold 8. I got them from Hinterland Outfitters. Is there anyway to modify the drums so they can take the other ammo? I have a crap load of wolf and noble sport and they won't fit. ^^. This has been discussed in the past and I believe the general consensus was that it should not be attempted. That is what I remember but hell, if you have the creative abilities and you want to try it, go for it and let us know how it works.